Once during your turn you may flip a coin.If heads you may see 3 cards in your opponent's deck. 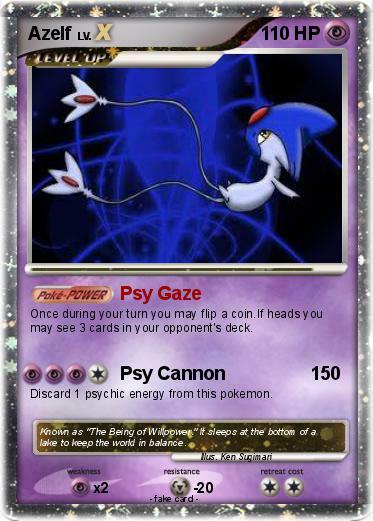 Discard 1 psychic energy from this pokemon. Comments : Known as "The Being of Willpower." It sleeps at the bottom of a lake to keep the world in balance.